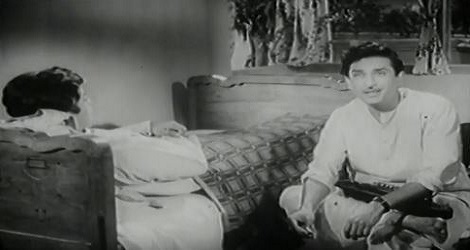 Looking back at the six years this blog has been in existence, I find myself surprised that I’ve never done a post on Geeta Dutt. 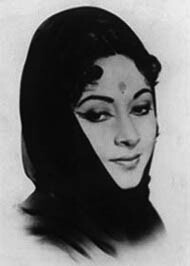 Geeta Dutt, née Geeta Ghosh Roy Chaudhury, the woman with that beautifully melodious, faintly nasal voice, who was known for singing bhajans and other songs with a classical or folk lilt to them—until SD Burman chose her to sing Tadbeer se bigdi hui taqdeer bana de, and opened up to millions of listeners across the years the astounding versatility of this glorious voice. Geeta Dutt, who could sing with equal finesse everything from club songs to wandering minstrel ones. Geeta, who sang some of the most achingly beautiful songs in Hindi cinema.